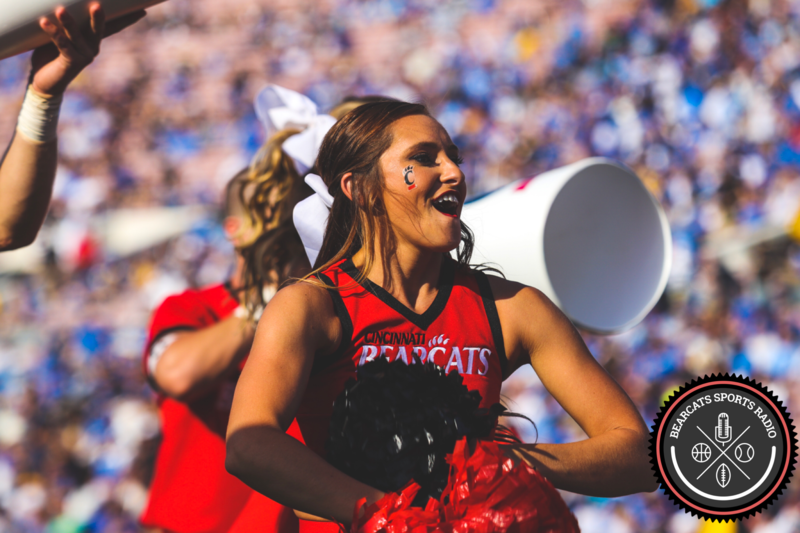 This Saturday remember to set your alarm as the Bearcats face UConn on the road at 11:30 a.m. ET. The game will be televised on CBS Sports Network. UConn is 2-3 on the year, with wins over Maine and Virginia. Tubs compared UConn’s team to Purdue. They have a big, physical O-line and a ground and pound mentality. The Huskies average 20 points and 350 yards per game. Although the Huskies allow just 118 yards on the ground, they give up nearly 300 yards through the air each game. They are led by head coach Bob Diaco, who was the UC defensive coordinator during the magical 12-0 regular season in 2009. UC has won 5 straight against UConn and owns the all-time series, 10-2. ​UConn is coming off of a 42-14 loss to Houston. Their QB junior #4 Bryant Shirreffs has thrown 3 TDs and 2 picks on the season. Newsome leads the Huskies rushing attack with 50 carries, 224 yards, and 2 TDs. Nearly ½ of Shirreffs’ passes have gone to senior wide out #5 Noel Thomas, who has 2 TDs so far this season. Thomas’ stats would be even better, but Sherriff is very inaccurate and missed Thomas on multiple occasions wide open in the nationally televised Houston game last Thursday night. Look for UC to blitz often, shut down the run, and put their fate in the untrustworthy hands of Shirreffs. ​UC is outscoring opponents 67-58 in the first half. The problem is in the 3rd quarter when the Bearcats are outscored 26-18. In general, the Cats have had no problem starting the game, but they have come out sluggish and have made unforced errors to begin the 2nd half. UC has also had 8 turnovers in the second half, including multiple pick-6’s. UC doesn’t have to be prolific against UConn, but they do need to play mistake free football in the 3rd quarter. The Cats also need to get back on track forcing turnovers after coming up empty against the Bulls. ​Look for UC to bounce back this week. East Hartford can be a tricky place to play. After a deflating loss to South Florida at home, this is a make or break game for the 2016 Bearcats football season. This week will show what UC’s senior leadership is made of on both sides of the ball. This is a must win for Bearcat Nation. It remains to be seen if Ross Trail or Hayden Moore will start, regardless UC should be able to put up enough points to escape Connecticut and head into a bye week.